In 2009 the HB Motorsports Team is competing in the Lucas Oil Sportsman Cup series and Ohsweken Speedway's Mini Stock Division with third-generation driver Mitchell "Mitch" Brown behind the wheel of the twma two cars. Some of the contents have been replaced. Additional changes, photos and graphics will be updated over the next two weeks. We hope you enjoy the information presented in the site - a site that is intended to keep race fans and interested businesses up-to-date and informed on happenings within our sport, our series and our team. While 2009 marks the 3rd season for the NASCAR Canadian Tire Series, Doug Brown and the HB Motorsports team are missing the opportunity to compete at the highest level of competition in Canadian stock car racing for economic reasons. Like many teams in motorsports, the state of the economy and the loss of major sponsorship have forced the team to regroup and seek other avenues for remaining in the sport this season albeit at a lower level of competition. 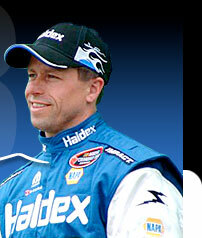 But like the highly determined team that it is, there is good news for HB Motorsports in 2009. That news being that the team has made some significant changes that are providing an opportunity to develop new talent for the team. 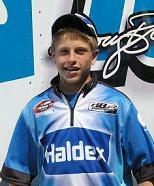 That new talent is third generation driver Mitchell Brown. "Mitch" as he prefers to be called turned 16 years of age in late April and already he's beginning to make great strides to becoming a force to be reckoned with in the future. Over the past four seasons he has been preparing himself for his future in motorsports - a tradition that began for the family when granddad Harold Brown competed in the Supermodified ranks in the 1960s and early 70s then made the switch to Late Models where he became a steady and popular runner at Flamboro, Delaware and Cayuga and was among the leading competitors in the Export "A" Series. As a teenager, Mitch's poise on and off the track; his quiet demeanour when discussing racing or his off-season passion for hockey; and the way he studies the sports and observes the actions of those he believes can further his career are qualities that are already paying huge benefits in his development. With the stretch run now on in the two classes of racing he competes in, he continues his focus on capturing Ohsweken's Mini Stock Division Championship and setting atop the podium in the Lucas Oil Sportsman Cup. One is clearly within his grasp. The other poses a greater challenge but his confidence and determination will help him accomplish his goals. Regardless of the final results, Mitch Brown will be there when the stretch run to the final laps begin. As we have been doing since we broke into this sport over a dozen years ago, we will continue to approach each event and personal appearance on behalf of our sponsors and our sport with the intentions of elevating the perception of stock car racing to the level it deserves; to highlight the exciting and colourful entertainment race fans have come to enjoy; and to demonstrate and validate the marketing opportunities thousands of businesses large and small are already benefiting from or are about to enjoy. Despite a torrid pace through the 20-car starting field it looked as though Mitch Brown had come one car short of registering his tenth feature win of the season at Ohsweken Speedway on August 21st. But wait a minute. A feature race isn't over official over until post-race inspection. The ESSO Mini Stock feature began with Chase Hess and Mike Giberson on the front row, and it was Hess getting the early lead, which he would hold for much of the first half of the race. While a good battle ensued up front between Hess and Mike Evers, fans were also keeping an eye on Brown, who was gunning for his tenth feature win of the season after finishing second to Ohsweken's Steve Hess the previous Friday. Mitchell Brown will be gunning for win #11 in the Esso Minsi Stock Division at Ohsweken Speedway on Friday August 28th and again on September 4th.